MANILA, Philippines - Class suspensions on Monday, June 11, 2018 are announced at certain areas by Local Government Units (LGUs) due to bad weather conditions brought by southwest moonsoon or "Habagat" intensified by typhoon "Domeng". Here's the live list of class/ work suspensions as declared by respective LGUs on June 11, 2018. Cancellation of classes for colleges and universities will be at discretion of school officials/ administrators. PAGASA meteorologist Shelly Ignacio told in a local news report that though "Domeng" has exited the Philippine Area of Responsibility, it may still bring heavy rains in Luzon areas as it continues to enhance the "Habagat". The Southwest Monsoon (Habagat) enhanced by the Typhoon will continue bringing monsoon rains over Luzon, especially over the western section, until early next week. The public is advised to continue monitoring for updates, take appropriate actions against possible flooding and landslides, and coordinate with local disaster risk reduction and management offices. According to PAGASA weather update issued at 9:30 AM, 10 June 2018. "DOMENG" has intensified into a typhoon and is now outside the Philippine Area of Responsibility (PAR). Sea travel remains risky over the northern and eastern seaboards of Northern Luzon, the seaboards of Central Luzon, and the western and southern seaboards of Southern Luzon. Shall there be a typhoon warning signals to an area, automatic class suspension guidelines from the Department of Education will be observed. 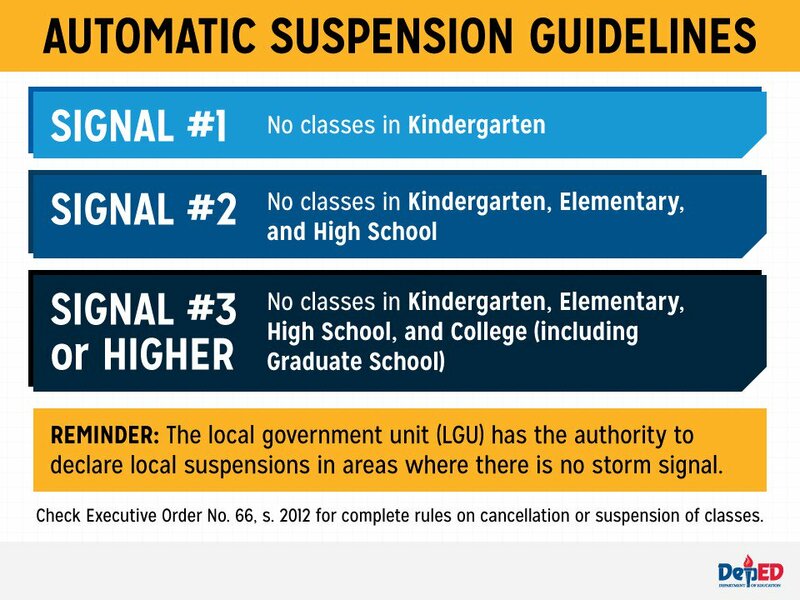 Image below is courtesy of DepEd. 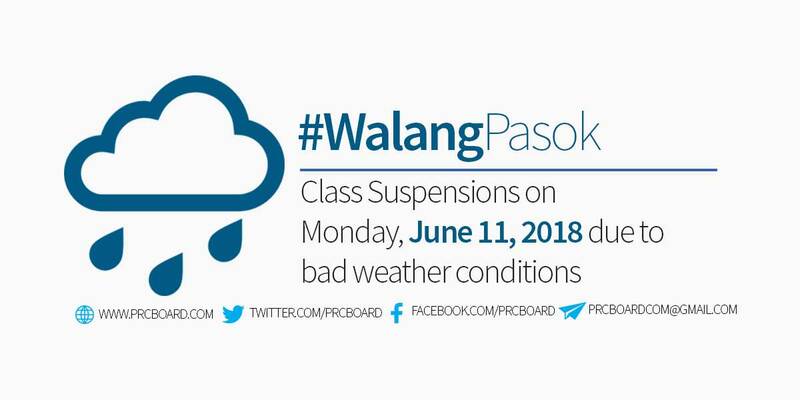 We advise our readers to bookmark this page to receive real-time updates on class suspensions for June 11, 2018. You may also follow us at our social media accounts via Facebook and Twitter.